This week is Meat Free Week; why go meat free? I hear you ask… Well, it encourages you to think about how much meat you eat, where your meat comes from and the impact eating too much meat has on your health, the environment and animals. Head to www.meatfreeweek.org for more info. 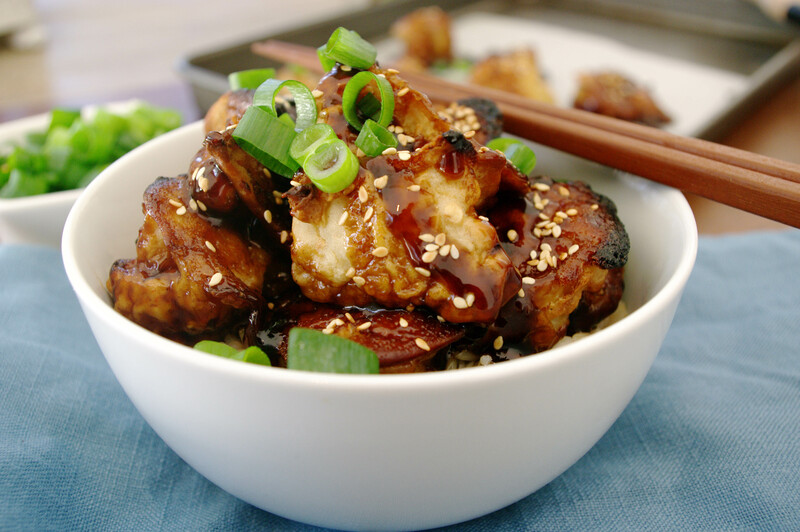 If you’re a little hesitant to try a week without meat, and I totally understand, meat is delicious; why not try 2-3 dinners sans our fury and scaled friends? Opt instead for a tonne of deliciously nutritious veggies and I guarantee you your body will be feeling great! 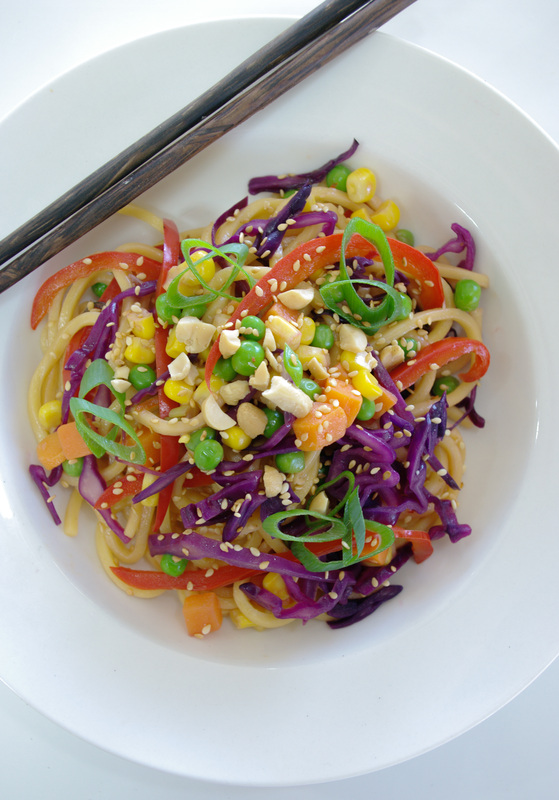 Try starting with these Rainbow Noodles, filled with so many noms that you won’t even notice you’re missing meat. So, go forth and taste the rainbow! Cook Hokkien Noodles according to package instructions. Meanwhile, heat oil in a large saute pan over medium-high heat. Add the whites of the shallots and sauté for 2 minutes, or until fragrant. Add cabbage, and capsicum, cook for 5-7 minutes, stirring occasionally, or until cabbage has wilted and capsicum has softended. 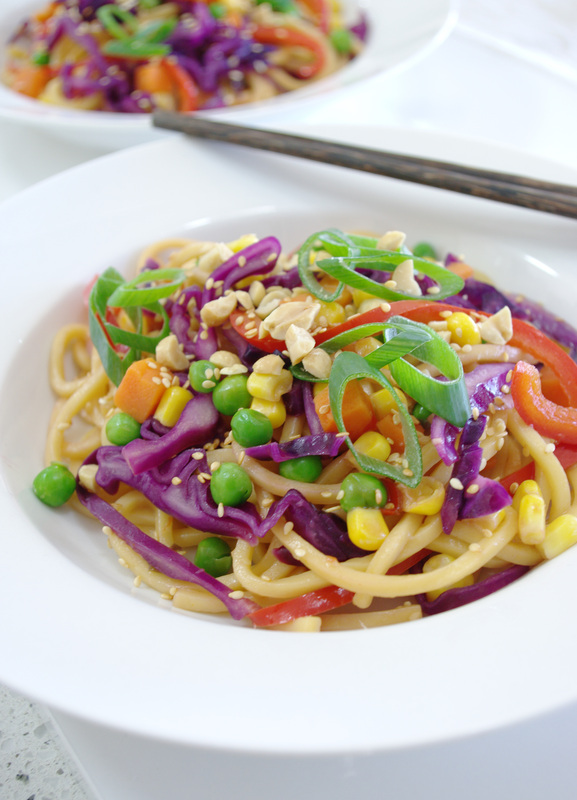 Place the McCain Pea, Corn and Carrot Mix, Hokkien Noodles, sweet chilli sauce, lime juice, oyster sauce and vegetable mix to a large mixing bowl and toss well to combine. Serve topped with the greens of the shallots, toasted sesame seeds and peanuts if desired. TIP: this is delicious cold and is great for picnics or lunchboxes.